Limited time offer. This HOT deal won't last long! Designed for those looking for a creative approach to shaping vocals, Butch Vig Vocals features intuitive EQ controls, a compressor and a de-esser, and several tools for coloring your sound in numerous shades, including Tube and Solid State saturation, a unique Focus knob, and other inspiring features, all carefully crafted by Butch himself to help you realize your vocal vision. Widely considered one of the most influential rock producers of recent decades, Butch Vig helped spawn an entirely new rock genre. From Nirvana and Smashing Pumpkins to Foo Fighters, Green Day and his own band Garbage, Butch Vig has contributed his signature sound to some of the most legendary albums of the modern rock era. One of the defining elements of the “Butch Vig Sound” is Vig’s unique vocal stamp. The celebrated producer ushered in the sound of distorted vocals in a beautifully musical way, and this feature is an integral part of the sound that the Butch Vig Vocals plugin faithfully recreates. Butch Vig Vocals is also available in Mercury. 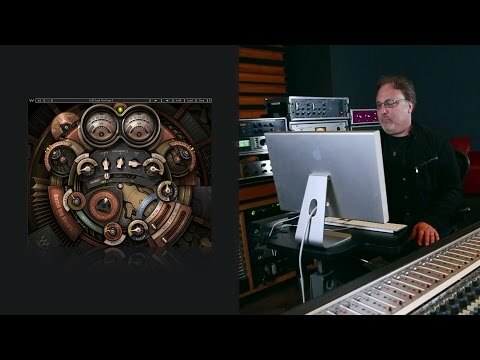 Producer Butch Vig (Nirvana, Garbage, Smashing Pumpkins, Foo Fighters, Green Day) shares his design and specifications for the Butch Vig Vocals plugin, created by Butch himself in collaboration with Waves. The Butch Vig Vocals plugin is based on what I consider the core parameters of getting a vocal to sit in the mix, to sound really focused. I went back and looked at my notes on albums I have worked on over the last 20 years, and discovered there are some basic parameters I default to time and time again. I designed this plug so you can open it and quickly dial in the vocal. The filters and MidDip are used for cutting unwanted frequencies. The EQ section is designed to boost frequencies, but can be used as a cut if needed. Both the EQ and the de-esser are set to specific fixed frequencies. Depending on the singer’s voice, the MidDip can remove a problem frequency. You can remove frequencies in the 300–600 Hz range to get rid of the cloudy or mushy tone, and in the 600 Hz–1 kHz range to get rid of too much nasal twang or throat. The MidDip has a fixed 6.5 dB cut. LoCut filters up from 17 Hz to 1000 Hz. MidDip is set to -6.5 dB, sweepable from 301 Hz to 1000 Hz. HiCut filters down from 21 kHz to 1.2 kHz. The Compression is set to be smooth when engaged at lower levels and very aggressive at higher levels. This is based on the sonic qualities of some of my favorite compressors, Summit TLA-100 and 1176. The EQ section has three fixed frequencies I repeatedly default to with vocals. They are intended for a boost in EQ, but can also be used to cut if needed. I designed them to capture the sonic characteristics of several classic EQs I have used over the years: Pultec, Neve, Trident A Range, Sontec and Avalon. I like to use single-band EQ/compression to focus on where a lot of the fundamental tone of the vocal is. The Focus is a mid-band compressor which boosts information in the 1K or 2K range. I love to add harmonic distortion to a vocal. Sometimes just a small amount will thicken the vocal and give it character. There are two types of saturation at the end of the chain: Tube and Solid State. They will add some subtle color at lower settings, and will get quite extreme as you turn them up. I added a LoCut and HiCut to clean up the distortion. When I saturate a lot, I usually filter the top and bottom to tighten up the distortion, filter the rizz off the top, and take out the mud on the bottom. I was lucky to have a great variety of sessions to use when designing the Butch Vig Vocals plugin, and listened to some great singers: Shirley Manson, Dave Grohl, Billy Corgan, Freedy Johnston, Billie Joe Armstrong, Laura Jane Grace, Kurt Cobain and Christofer Drew. Special thanks to Billy Bush and Ross Hogarth for their ears, and to Mike Fradis from Waves for his technical expertise and guidance. A word about the GUI design: I was looking for something that had a “Retro/Sci-Fi” look, inspired by films like Twenty Thousand Leagues Under the Sea, Brazil and Blade Runner. Thanks to Dani Bar-Shlomo for his beautiful design! Added: Waves instruments now allow saving presets in the preset menu of Komplete Kontrol and Maschine. Added: New H-Reverb hardware preset '70 Tiled Room'. Removed: Unsupported surround components from the plugins list in Ableton Live and Reason. Removed: WNS Noise Suppressor's "Suggest" from automation enabled controls. 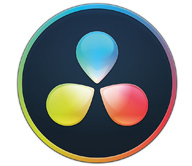 Fixed: Prompt to locate Waves plugin folder no longer appears for every account on Mac computers with multiple user-accounts. Fixed: Control responsiveness while moving plugin controls via Ableton Live's interface. Fixed: Modifying plugin parameters no longer blocks keyboard communication with Ableton Live. Fixed: Long plugin scan and loading times in Logic Pro X on computers that are not connected to the internet. Fixed: Possible crashes in Logic Pro X when loading sessions with Waves plugins and Soundtoys PanMan. Fixed: Waves instruments no longer appear in Pro Tools' AudioSuite menu. Fixed: The Sustain pedal on Grand Rhapsody Piano's GUI no longer gets stuck when clicking on it. Fixed: Electric 88 Piano's 'Tune' parameter values for 'Drive Through' and 'Driving Home' presets under Komplete Kontrol and Maschine. Fixed: AudioTrack possible level spikes when bypassing or switching presets. Fixed: Q10 Equalizer link between L and R faders now properly works on touchscreens. Fixed: DeBreath processed audio is no longer delayed when used in Pro Tools' AudioSuite. Fixed: Greg Wells VoiceCentric & MixCentric possible CPU spikes under REAPER while no audio is passing through the plugins. Fixed: GTR Solo issue in Pro Tools where some stomp control positions may not be correctly recalled when loaded in a session. Fixed: Waves Tune Real-Time possible wrong display of scale note during automation. Butch Vig is one of the greatest rock producers of our time and has produced some of my favorite bands, like Smashing Pumpkins, Garbage, Foo Fighters, Nirvana, and Green Day. Waves created a plug-in that can help you create awesome rock vocals like Butch.